Be it classic or modern, timber or glass – we master every detail of interior fitting. With our experience and intuition for style, we are bound to meet your expectations. Together, we will work out the best design for your projects and with our knowledge and skill, turn your ideas into reality. We pay close attention to your concepts and requirements, we advise and design. We turn your ideas into high-quality interior fit outs and bespoke pieces of furniture. Every piece is manufactured by our qualified professionals in our production facilities. Together with you, we carefully design and plan every detail before manufacturing even begins. We produce inhouse. 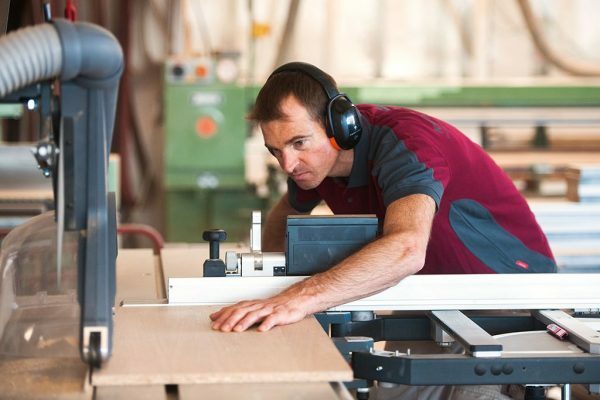 Every piece of furniture is manufactured in our fully equipped joinery facilities by our highly experienced work force. This enables us to meet our own standards – to deliver the highest possible quality. Our service is tailored to each individual client and their specific requirements. We use a vast variety of materials – glass, acrylic glass, different kinds of metal, solid surfaces, varnishes and paints. Kaupp und Diether provide top notch quality „Made in Germany“ for a reasonable price. Interior fit outs, retail fit outs, office fit outs and bespoke joinery are produced inhouse and are also installed professionally on site by our qualified team. From your first idea to the final installation, you’ll find us a partner that provides the highest quality. That is the standard we set for ourselves.